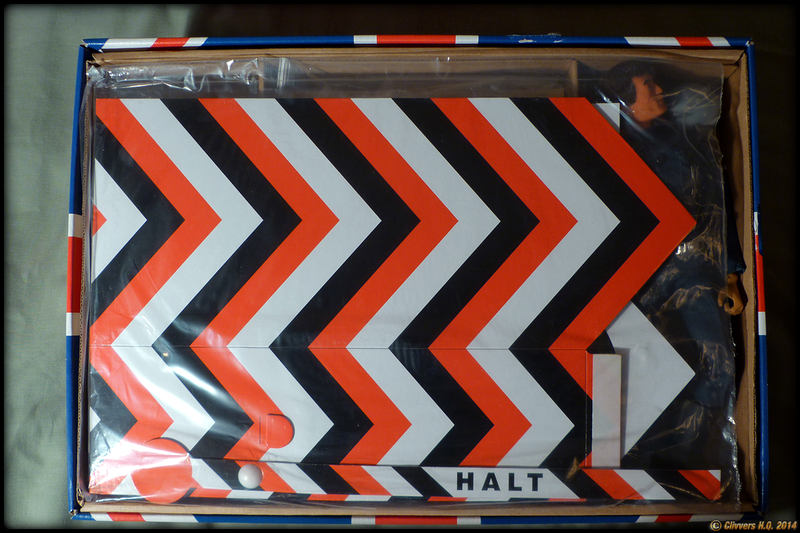 Action Man 40th Anniversary Colditz Set.. 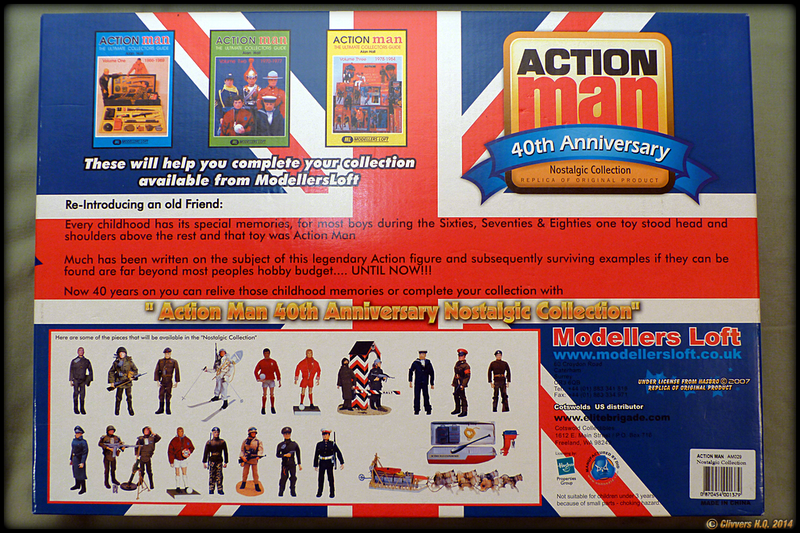 I managed to get this set from the Modellers Loft shop (UK) some years back, it was much cheaper back then. 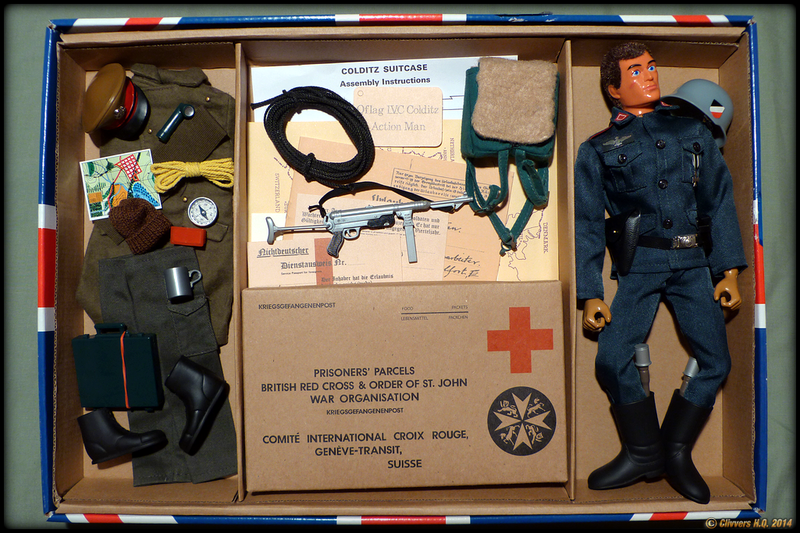 This set doesn't come supplied with an Action Man figure, I added it to the set.. The sets are getting quite expensive now, I think I payed about £35 - £40 for it, ebay is the best place to find one these days, expect to pay around £50 - £60 for it though. I'm well aware, I look for them every now and again. After conversion to USD it gets hellish. Crikes! £120 & $168.34 is definitely expensive. Never mind, you will eventually come across a cheaper set at some point, good luck. Yup. It's been a pain in the rump.Thanks for the wish of good luck. I regret not having bought this set when they were available from Cotswold here in the states. I think they were running for about $75.00 at the time. Excuse me, gentlemen, I have to get back to work. My backside isn't going to kick itself. The Colditz set is high in price at the moment, but there will be a time when the prices dramatically drop. It's nice to see the contents. I like the German uniform, I only have the first AM40 release in green. I wanted the other reissue SOTW, but missed them as well as this set. And as others have noted, prices have jumped. There will be a time when the prices will drop for this set, so keep an eye open on ebay. I forgot to mention, the German backpack doesn't come with this set, I also added the black rope as a small extra. It's definitely a must have set. 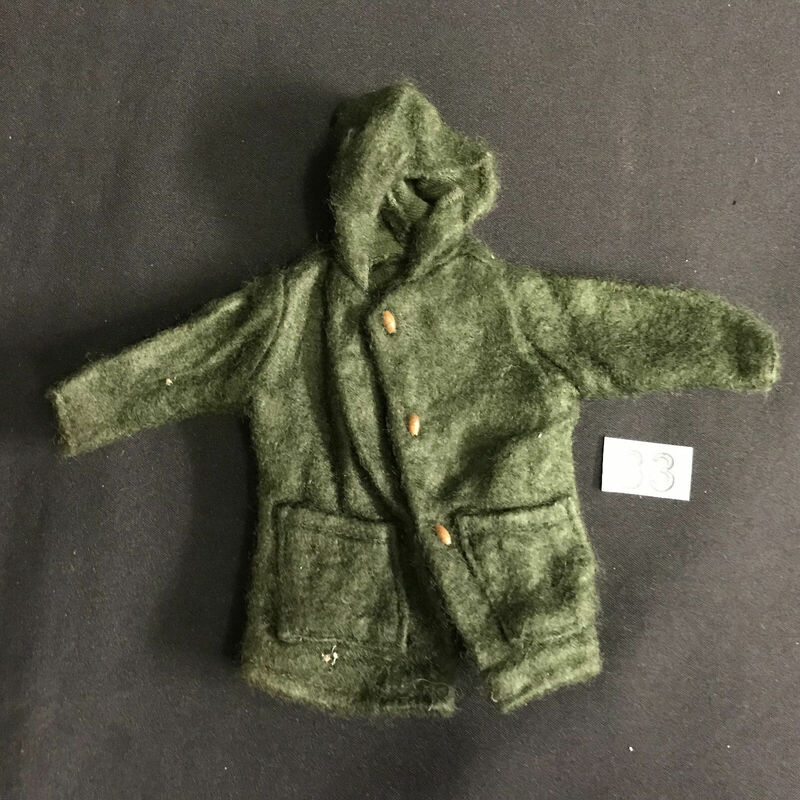 Quick question - the overcoat for the British officer, is it the same as the AM Duffle Coat or is it a repro of the Overcoat from carded bits? I'm not sure if the escape officers overcoat was also available separately on a card? 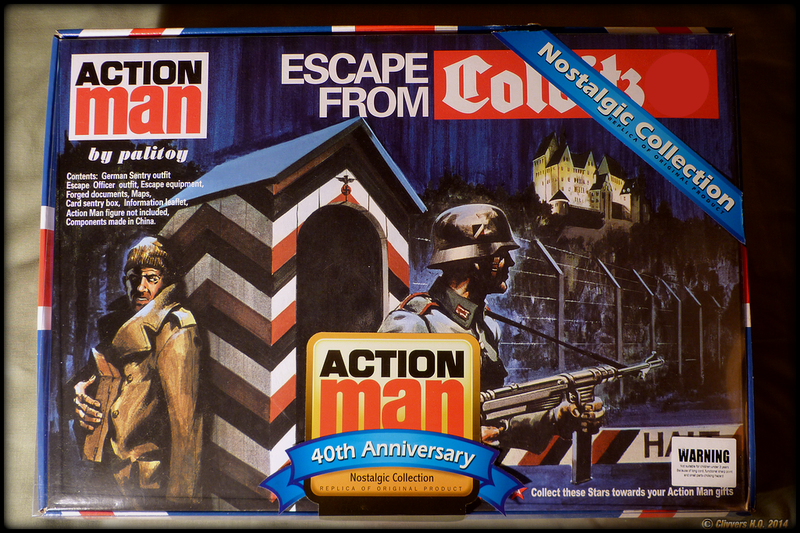 I always thought it was unique to the Colditz set, I can't get to my Action Man books to check right now.. The duffle coat has a hood and is totally different than the escape officers coat. Sorry it took so long to reply, but thank you, that answered my question perfectly. Thanks KneonKnight, I'm glad it was helpful to you. That's a cool set. I too wish that I would have bought one when Cotswold had them in stock.